Hello! I’m Chef Jack. I am a professional/personal chef living and working in Atlanta, GA. Over 15 years ago I took what was once a personal hobby – cooking – and pursued it as a profession. They say that when you love what you do, it doesn’t seem like work. Well, I’ve worked very hard, but I have loved it. In a few short years I have served as a line cook, a delivery driver, a dishwasher, a kitchen manager, a sous chef, an executive chef, and a personal chef. I’ve made awesome meals for politicians, celebrities, pro-athletes, and everyday people. I’ve flipped burgers and worked alongside celebrity chefs creating amazing multi-course meals. It is work. Hard work. But I have never second-guessed my career choice. I created this blog after a great deal of thought. I wanted to bring my passion for food and cooking to this space in a way that would be educational, inspiring, and entertaining. I didn’t want to add to the ‘noise’ by being just another food lover’s blog, however. I wanted to find a way to stand out, even if it was appealing to a very small niche audience. 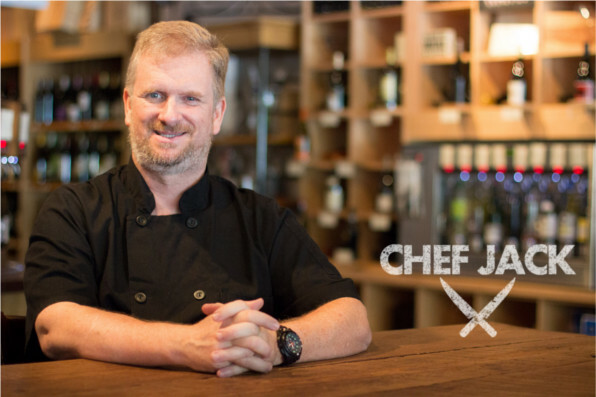 What I came up with is a blog about bringing a chef’s insight, a chef’s flair, and a chef’s experience to everyday things, but not aimed at other chefs. I have always enjoyed cooking and serving everyday people the most, and I want everyday people to get the most out of what I put here. an occasional review or two. I want to bring my knowledge and experience out of the commercial kitchens and into everyday life. Everything from grilling a steak to judging a wine or evaluating a restaurant offering; I hope to bring a unique “behind-scenes” component to my posts that can only be seen through a chef’s eyes.